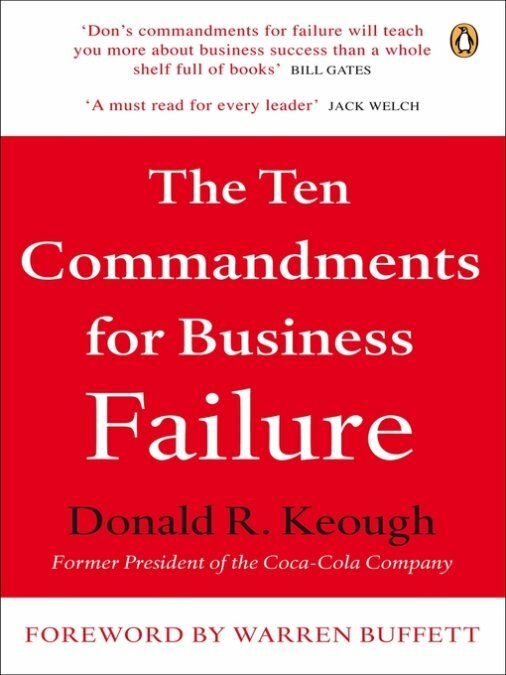 Donald Keough is the former President of the Coca-Cola Company. While managing the company he has learned a great deal about leadership and business and he has poured this vital experience into this book. Everyone knows – no risk, no reward. However, many people don’t live it. You have to keep taking risks if you want a chance to succeed. Similar to the first – if you think you are right all the time, no one else is necessary. Staying rigid about your decisions is a quick way to lose. When you aren’t getting information outside your “inner circle” or outside your organization in general, you get out of touch with reality and you WILL fail. Similar to Commandment 2 – you can fail if you think that you can never make a mistake. 5. Play the game close to the foul line. A few corporate leaders found themselves no longer asking “Is it right?” but “Is it legal?” And then from that point, it was just a short leap to “Can we get away with it? 6. Don’t take time to think. 7. Put all your faith in experts and outside consultants. Your bureaucracy is a wonderful source of information on the evolution of human thought and activity within your company. 10. Be afraid of the future. You should be always very cautious because you never know what will happen next. Bonus: 11. Lose your passion for work – for life.